The Shimon and Sara Birnbaum Jewish Community Center (JCC), located at 775 Talamini Road in Bridgewater, will be holding a Summer Camp and Preschool Open House on Sunday, January 27 from 12:00 – 2:00 PM. JCC Staff will be providing tours of the JCC, and the community is invited to attend. Special one-day savings will be offered for new JCC Camp Ruach and JCC Blaustein Early Childhood Center registrations. The JCC Blaustein Early Childhood Center is offering $100 off of new child care and pre-school registrations on January 27. JCC Camp Ruach is offering $200 off new registrations on January 27. 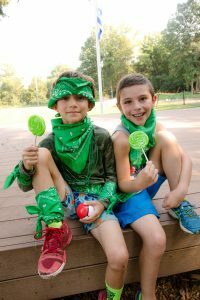 (Families that have decided on a JCC Camp Ruach program for their child may register online at jcccampruach.org and do not need to attend the Open House in order to receive the savings.) Some restrictions apply on Open House offers. 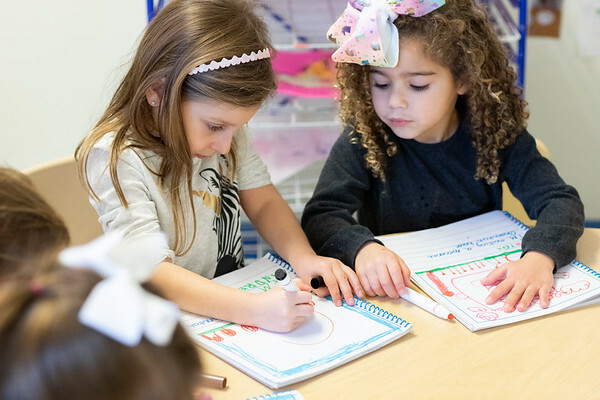 The JCC Blaustein Early Childhood Center offers programs for ages 6 weeks through full day Kindergarten and offers open enrollment. Preschool and child care hours are 7:00 am – 6:00 pm. Year-round programs are available. Every classroom has a certified teacher with assistants. Preschool curriculum is focused on academic learning through play. Specials include swim instruction, yoga, music, art and Jewish holiday celebrations. Parents can register their child for after school enrichment programs such as Karate, Dance School, Art and Science. For further information, contact Early Childhood Director Sara Wasserman at 908-443-9022; SWasserman@ssbjcc.org. Camp Ruach is located on 14 acres with programs for campers ages two years old through entering 9th grade. Busing is included and lunches are available. Camp Ruach offers nine weeks of camp with a flexible schedule. The camp season runs from June 24 – August 23. Many activities offered include sports, swim (indoor and outdoor pools), low and high ropes course, karate, art, cooking, dance, tennis, nature, game room, mini-golf, music, musical theatre, archery, weekly entertainment and much more. Pre-school and Kindergarten campers have half and full-day options. Kindergarten through third grade campers begin in our Elective Program. The program for 4th-6th grade campers consists of three days onsite and two days attending trips. Road Rulz Teen Travel for grades 7-9 offers daily trips and two week-long trips throughout the summer. The Sababa program for 7th – 9th grade campers offers two day-trips/week and three days at the campsite. LIT (Leadership in Training) for Grades 8 and 9, prepares campers to be counselors, and offers one trip/week and participation in a community service project. Camp Ruach offers an inclusion program for children with Special Needs offering one-on-one staff and individualized schedules as needed. Specialty camps offered August 19-23 for ages K-6. Post-camp program available August 19-23 for campers ages 3-5. Details available at: jcccampruach.org. For additional information, please contact Camp Director Alanna Steinberg: asteinberg@ssbjcc.org or call 908-443-9026. The Shimon and Sara Birnbaum Jewish Community Center is located at 775 Talamini Road in Bridgewater. The JCC is a social service agency that serves residents of all ages residing in Somerset, Hunterdon and Warren Counties, providing fitness, recreational, social, cultural and educational programs for the entire community. The state-of-the-art facility includes an indoor salt based heated pool, outdoor salt based heated pool with dome enclosure during the off season, gymnasium, fitness center, group fitness studios and JFitGround, an outdoor adult fitness training facility used for personal and small group training. The JCC offers a wide variety of adult educational programs including lectures, film series and trips. The J-Crew After School Program is open to children in Grades K- 6. The JCC is home to the Bridgewater Tide Swim Team and Summer Swim Club. The JCC is pleased to host the Rising Tide Special Olympics Swim Team and offers programs for children and adults with Special Needs, including the J-Zone Respite Recreation Program, the JSquad Teen Social Club and the J-Cares Adult Intern Program. For additional information, visit the JCC website at ssbjcc.org or call 908-443-9018.